Lets face it, in its glorious past Major League Baseball has never been on the cutting edge. For certain things they may have been ahead of the curve but for most things, not so much. On this very day in 2015, we as fans all know about the Japanese league of baseball, as many of our players leave here to play over seas. Also many of their stars have done the same and crossed the ocean to pursue a career in the states. Today’s book takes a look at the very first player who was chosen to bridge the gap between the two countries and leagues and the results that followed. Robert Fitts has undertaken a great task with this book. Not only do you have to make sure your details are accurate and spot on but he also has the cultural gap to overcome. Masahiro Murakami was the first Japanese player hand-picked to be sent to the United States to the San Francisco Giants. He originally came as a group of three players but was the only one of the three to have any sort of success on the bigger stage. Fitts takes you through the upbringing of Murakami and the strict cultural rules he was raised by. You also get a glimpse of the way that Japanese leagues operate and personal standards that the players must maintain. The differences are staggering in both training and requirements to be on a professional team in that country. It shows what a large cultural difference that exist in both leagues and society’s. You see Mashi’s rise through spring training camps and the minor leagues to reach the big stage in San Francisco. Success on the field was not enough to overcome Mashi’s sense of duty to his family and dedication to his league and country, which eventually were his reason’s for going back and playing in Japan. 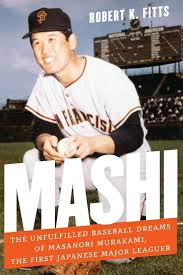 One of the most interesting things I found in this book was the business dealings and player contracts that effected Mashi’s career. I think personally in the end nobody was sure who truly owned his contract. Which again points out more of the differences between the two baseball operations. This book also shows the reader the broader picture of how it was helping to mend relations of two bitter enemies in World War II. It showed how baseball can play a positive role in society’s problems. This event was monumental in bringing the two nations back to the table with each other and allowing a better relationship to move forward. It is a fine example of international diplomacy fostered by a kids game. Coffee table books have always been a tough market. What is out there is usually just a regurgitated version of a prior edition of the same thing. In all seriousness how many versions of the history of the National League are really out there? Or how about the history of the Hall of Fame? Perhaps the 100 all-time greatest pitchers is more your speed. If you look closely most of these books are re-releases of old books in a shiny new dust jacket. It makes the coffee table book segment of the book market not I one I found very appealing. Happily for myself, I have come across a new series of books that I think falls into the coffee table book segment and offers a new and interesting product. 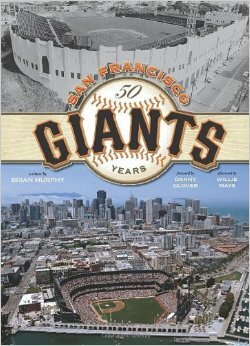 Insight Editions, has published this line of team histories. In one sentence these written histories are incredible! The photos contained in each of these books is of great quality that give you a good feel of exciting team events, as well as some not so often seen moments in team history. 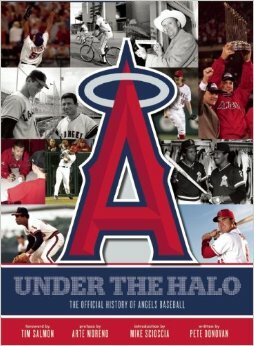 Broken down in to specific decades each books gives you a nice recap of that era and reminds the fans of what went on. Team triumphs and individual accomplishments are celebrated within the pages of these books. Now the part that makes these books really special and is the favorite parts of the book for me is, they are like pop-up books for adults. Yes, I realize that deserves an explanation. Throughout the book there are team photos that are pop-up style booklets that let you view various unique team photos. Between that feature, and the high quality pictures found on the fold out pages in various sections of the book, it becomes a unique experience for the reader. Plus it just makes it plain old fun for adults too. Insight Editions has raised the bar and really moved the coffee table sector book into an entirely new arena. Once readers take a look at these books, they will be hooked. The quality is incredible and really will have fans picking it up time and time again to relive the memories contained within. 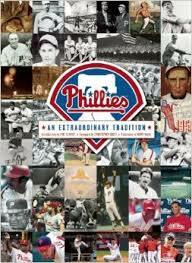 Insight Editions will publish an Orioles edition in the very near future and hopefully have more volumes of these team histories, because fans of every team deserve a book this good about their hometown favorites. Everyone should take a look at these, because even if your team isn’t represented here, they are an enjoyable read and you will probably learn something new as well. The world has changed in coffee table books, and Insight Editions is leading the way!